Driven by its vision to ensure availability of adequate water for all on a sustainable basis, Gujarat Water Supply and Sewerage Board (GWSSB) is committed to develop a state-wide robust water supply infrastructure and find innovative ways to address water scarcity in the state. Gujarat is the growth engine of India. 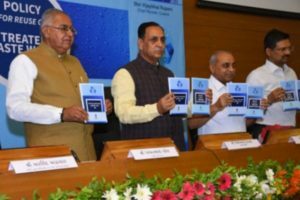 The Government of Gujarat is committed to make available potable drinking water to all its citizens, and to agriculture and industry to boost economic growth. Towards this end, it has taken steps to harness surface water to the maximum, and now endeavours to develop new avenues. Besides, treatment and reuse of waste water is becoming a priority area. The State has 5.96 percent of the Nation’s geographic area with 5 percent population but only 2.63 percent of the country’s water resources. The per capita fresh water availability is about 920 M3/Capita/Annum against the national average of 1545 M3/Capita/Annum. 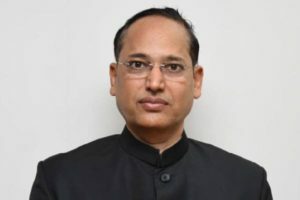 The pragmatic and positive leadership of the State Government has taken initiative to create “Statewide Water Supply Grid” with an aim to address the water scarcity situation of the state on a sustainable basis. Robust infrastructure has been created to ensure adequate water for all. Now it’s time to go beyond it, time to discover non-conventional source of water to boost the pace of growth. The longest coastline in the country provides opportunities. To decrease dependency on Narmada water and, to provide water security, the State Government has decided to establish various desalination plants to convert the sea water to potable water. This approach is being used to create water sources at local level in far flung areas for drinking purpose. 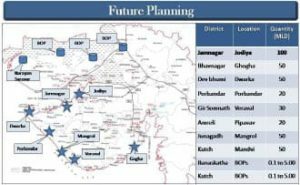 The State Government has decided to implement the first project of Desalination Plant of 100 MLD Capacity at Jodiya village in Jamnagar District on PPP Mode (DBFOT Base) . Work order has already been issued and Agreement signed. Seven plants of capacity ranging from 20 to 50 MLD are planned to be implemented in near future. The desalination projects offer opportunities to the investors through global bidding. The State Government has also recently introduced the policy for ‘Reuse of Treated Waste Water’. The policy entails to maximise the collection and treatment of sewage generated, and reusing the treated waste water on a sustainable basis, thereby, reducing dependency on freshwater resources and to promote treated wastewater as an economic resource. The Government has set clearly defined objectives that it seeks to achieve and abide by the guiding principles as part of its endeavour to generate usable water for daily life. The mandate of use of the treated wastewater, as outlined in the policy framework, calls for the use on the principle of substitution of fresh water for specific purpose. 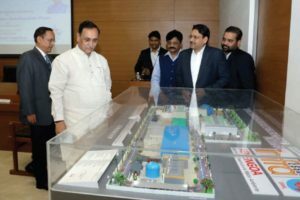 It is mandatory for all Thermal Power Plants, Gujarat Industrial Development Corporation (GIDC) estates, industrial units in Special Investment Region (SIR), industrial parks and large industrial units which are consuming fresh water for non-potable purpose within a distance of 50 km from the STP or city limits to use the treated wastewater. However, it shall not be mandatory to use TWW wherever it comes in direct contact with human beings or is used in processes resulting in products for human consumption. The water will be used for maintenance of parks and gardens, developing urban landscaping, rejuvenation of water resources, and for fire brigades. To reach a level of 100% treatment of collected sewage as per the prescribed standards. To reach minimum 80% coverage and collection of sewage in all municipal towns. To reuse at least 25% of total fresh water consumption from TWW within the time limit set under policy by every municipal body. To reuse 70% of Treated Waste Water by 2025. To reuse 100% of Treated Waste Water by 2030. Presently, fresh water use in Municipal Corporation, Municipality and Panchayat Rurban area is 5,244 MLD (Millions Litres Per Day) . Presently, underground drainage system is available in all 8 municipal corporations, 154 of 162 municipalities and 85 Rurban areas. These systems collect sewerage which is treated through Sewage Treatment Plants (STPs) established for the purpose. Presently, about 2,600 MLD of sewerage is being treated through 52 STPS. Besides, 20 STPs are under planning/ execution in municipal corporations. Underground drainage network projects are implemented in 154 municipalities of which STP is available in 18 municipalities, 34 under construction phase and 120 STPs are under planning. Whereas tenders for 37 STPs are in various phases, 55 STP tenders are to be invited. Thus, 161 STPs are under planning or execution which will add to approximately 2,800 MLD treatment capacities to the current within two years. With this, the total TWW availability will rise to over 5,000 MLD in Gujarat. This offers a tremendous opportunity to use TWW and augment water resources economically. In sum, the endeavour is to value and utilise every drop of water which is now one of the prime focuses of the Government of Gujarat. The State seeks to enhance water security besides boosting growth and development in a sustainable manner. The TWW projects are being implemented on PPP basis (hybrid model) by integrating both treatment and distribution network. More than 50 such projects are likely to be implemented in the next two years.